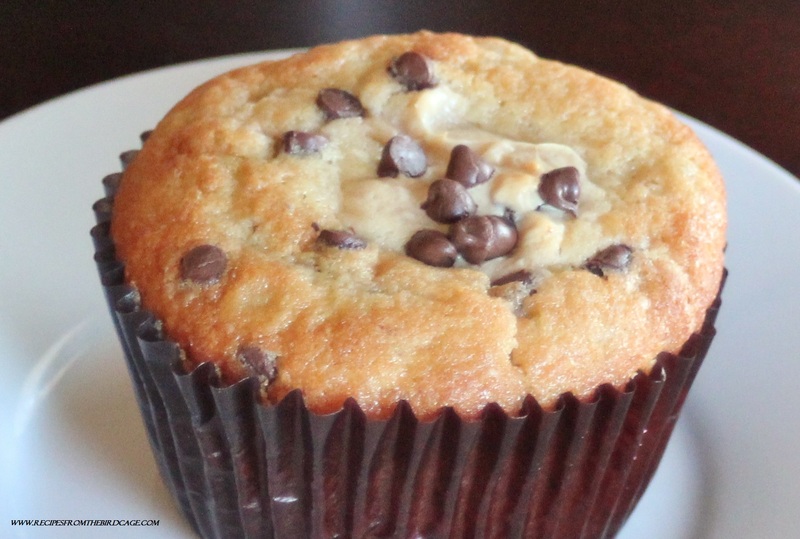 Peanut Butter Banana Bottom Cupcakes – recipes from the birdcage. I spent most of this weekend clearing out, organizing, and making an inventory of my fridge, freezer, and pantry. I found some truly frightening UFO’s in my chest freezer (Unidentified Frozen Objects). Frozen basil that expired in April 2014, anyone? I’d like to thank Pinterest for my organization binge, but despite all my hard work it STILL does not look remotely like the 1,000 pins I have on my boards. I did, however, find a halfway decent bottle of Malbec that had been hiding behind a box of corn flakes. 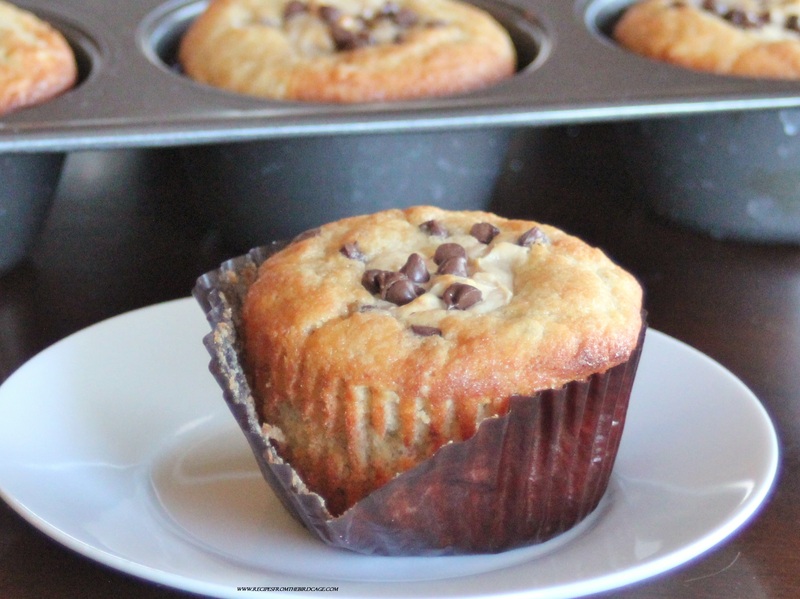 Peanut Butter Banana Bottom Cupcakes. These are my spin on traditional Black Bottom Cupcakes, which is basically chocolate cupcakes with a gob of cheesecake in the middle. Heaven. Sheer, unadulterated heaven. I’m not a huge frosting fan (weird, right? ), but I lose my freaking marbles over some cheesecake. Cake + Cheesecake = Hallelujah! If you aren’t the best with piping frosting, give these babies a go. I simply filled my cupcake liners a little over half way full with the banana cake batter. I then used a small cookie scoop to plop about a heaping Tablespoon’s worth of peanut butter cheese cake into the center. Easy Peasy. 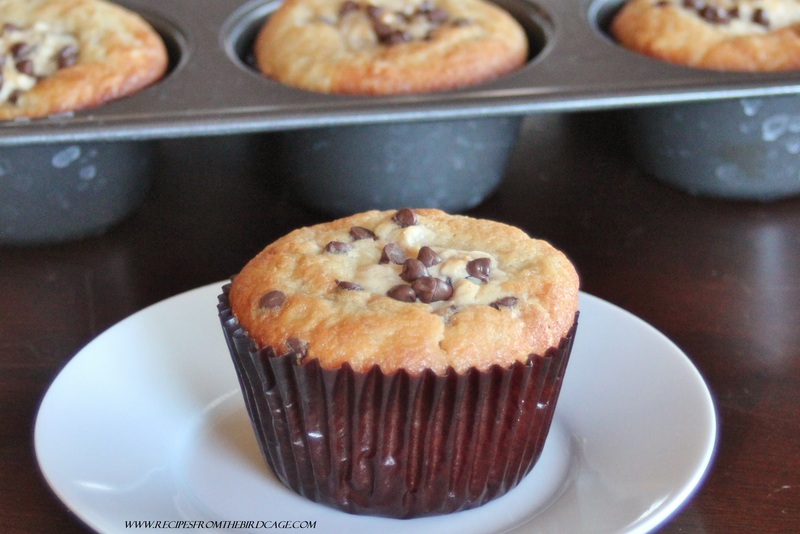 ***I used a jumbo cupcake pan to make these. For standard tins, fill halfway full and reduce cheesecake filling to a scant Tablespoon. Lower your baking time to about 20 – 24 minutes. 1. Preheat oven to 350 degrees. Line a 12 cavity cupcake pan with baking cups; set aside. 2. In a large bowl, cream together the softened butter and sugar until light pale and fluffy; this takes about 4-5 minutes. 3. Beat in eggs and vanilla until well incorporated. 4. In a separate bowl, mix together flour, salt, baking soda, and baking powder; stir these into the butter mixture. 5. Mix in the mashed bananas and milk until just combined. 6. In a separate bowl, cream together the cream cheese, peanut butter, egg, and sugar until thoroughly combined. Stir in the chocolate chips. 7. 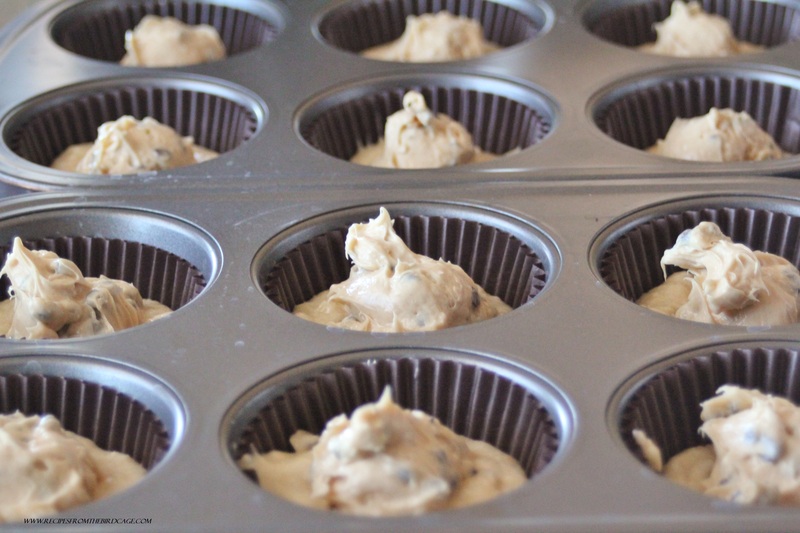 Fill each muffin pan cavity a little over halfway full with batter. 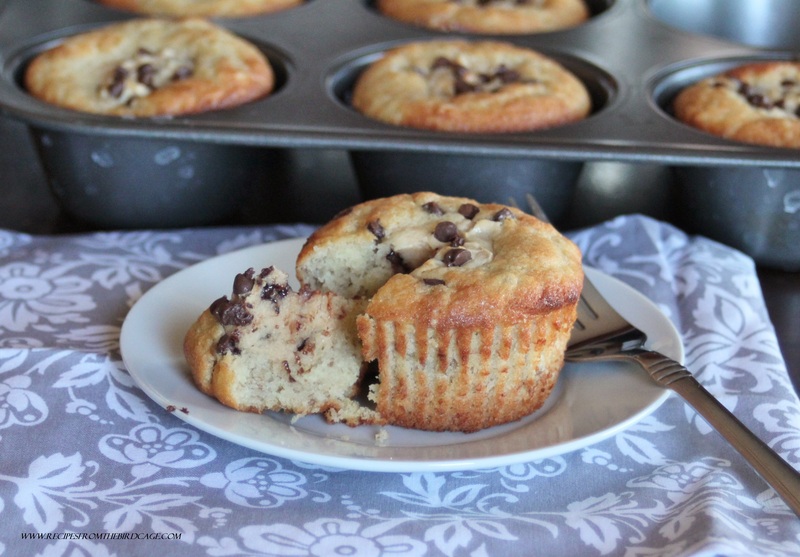 Using a cookie scoop or Tablespoon, drop mounds of cream cheese mixture to the enter of each cavity. Do not let the cheesecake touch the sides of the pan. 8. 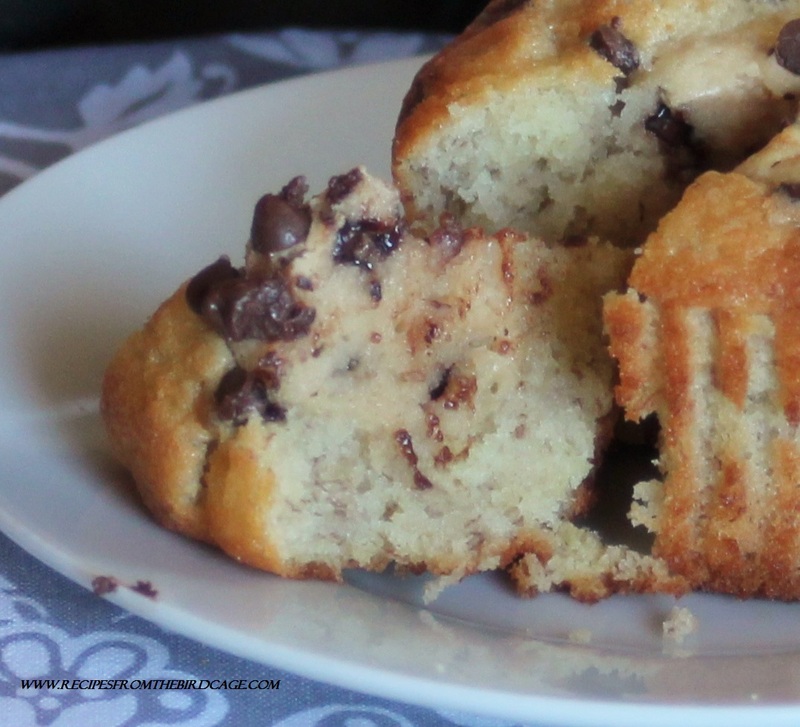 Bake in a 350 degree oven for approximately 25 – 30 minutes (using a jumbo cupcake pan) until lightly browned on top and a toothpick inserted into cake portion comes out clean. 9. Store leftover cupcakes in the refrigerator. I’m confused about how many eggs to use when. It says to use eggs in the batter and in the cream cheese filling, but not how many. Can you clarify? Thanks!